Evidence for thousands of black holes located near the center of our Milky Way galaxy has been gathered using Chandra data. This population consists of stellar-mass black holes, which typically weigh between five to 30 times the mass of the Sun. Researchers combed through Chandra data for systems that consist of a black hole locked in close orbit with a star. The new study revealed a high concentration of stellar-mass black holes within three light years of the Galactic Center. Credit NASA/CXC/Columbia Univ./C. Hailey et al. That's awesome, like to work with you in future. Is the black holes drifts toward the center of galaxy? I do not think so. Might be the galaxy grows and collect more and more stars and the older stars slowly turns to black hole and so located near the center of galaxy. Would love to read the expert's comment on it. Can thousands of black holes get merged together and formed a black hole bigger than the individual one and have a higher gravitational pull? 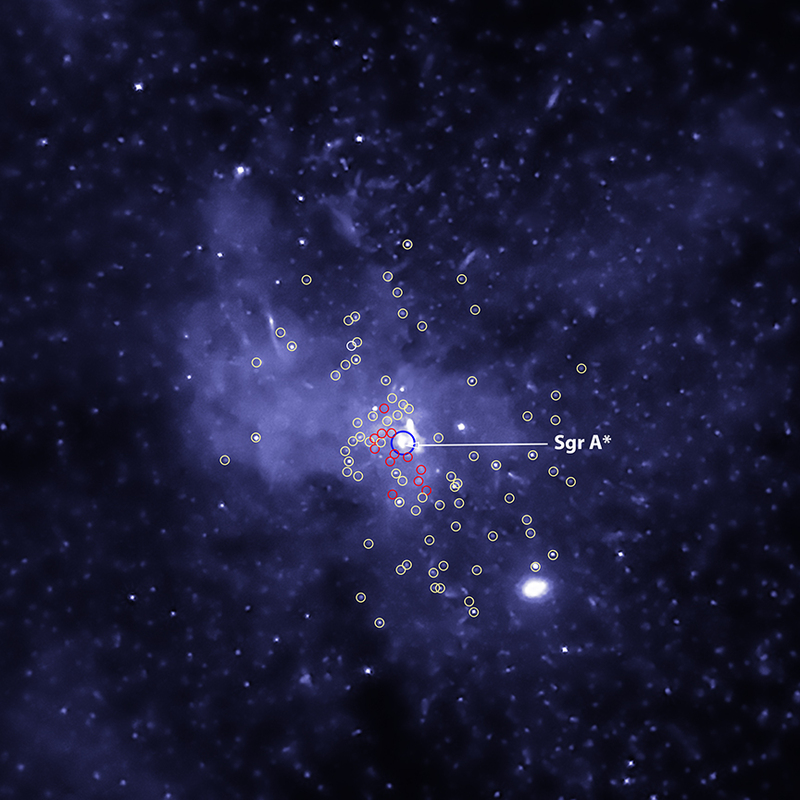 Does the supermassive black hole at Sagittarius A also have a mutual star? Very interesting details. I can not imagine 20,000 black holes lurking around our galaxy. The center of our Milky Way Galaxy with many black holes. About 6 arcminutes (45 light years) across. In the constellation Sagittarius, which is Latin for the archer.